German Party Music by Paul on accordion and German native Matthias on vocals and percussion. Classic and modern oom-pah drinking songs, marches, polkas and waltzes. We are also available with singer Adrienne Fortini as Die Drei. 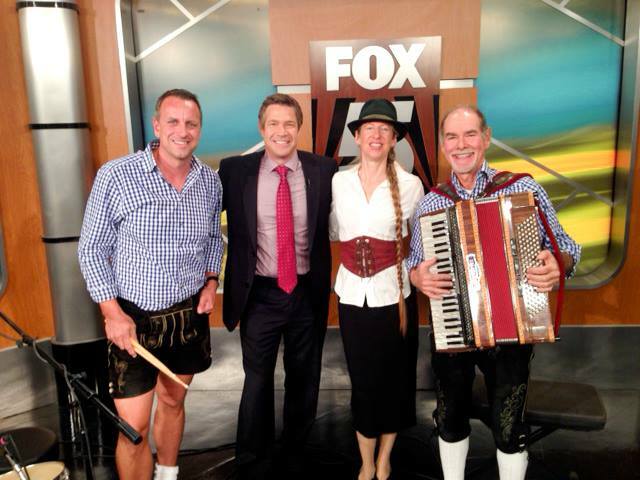 Adrienne is a fantastic yodeler, among her many vocal talents. Die Zwei/Die Drei have an extensive 4-hour playlist and a professional sound system for small to large events. 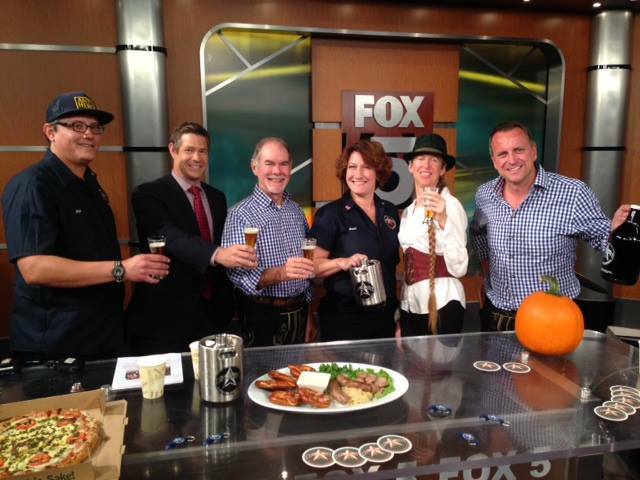 We play classic Oktoberfest songs such as In Muenchen Steht Ein Hofbraeuhaus and Rosamunde as well as currently popular songs such as Schatzi Schenk Mir Ein Foto, Das Rote Pferd, Sweet Caroline and Proud Mary. Our playlist also includes a few songs from the Sound of Music, Cabaret, and a number of Viennese selections, such as the Harry Lime theme from The Third Men. Traditional & Modern German Party Music with Matthias & Brass. 'Blaskapelle' Sound for your most authentic German Event.